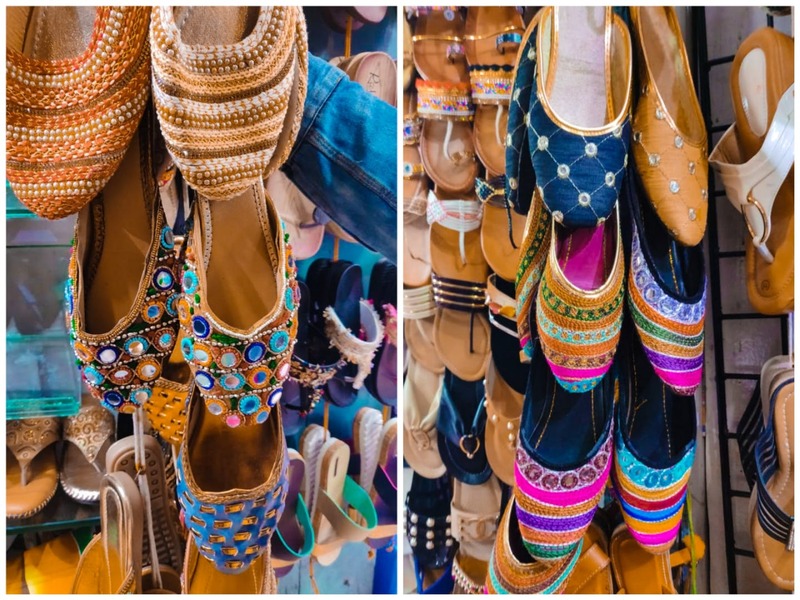 Big Shots is a teeny tiny shoe store on MG Road, right next to Regal, with the most colourful collection of juttis that cost as low as INR 250. The best part is there's a lot to choose from - sequins, intricate beadwork, ethnic prints, and more. Perfect to compliment our traditional attire, these juttis range between INR 250 and INR 500, and come in all sizes. We absolutely loved the pair with vibrant mirror work on it, for INR 300. Scroll through bright hues including peppy pink, dark blue, vermilion, yellow, and bold red. What's more? Big Shots also stocks a wide range of formal slip-on and stilettos, starting at INR 400. For those of you looking for something for every day, check out their range of pretty floral pumps and strappy sandals, INR 200 onwards. Lastly, remember the golden rule of street shopping - Bargain! If you're good at it, you may even get these prices slashed down to half. No kidding!